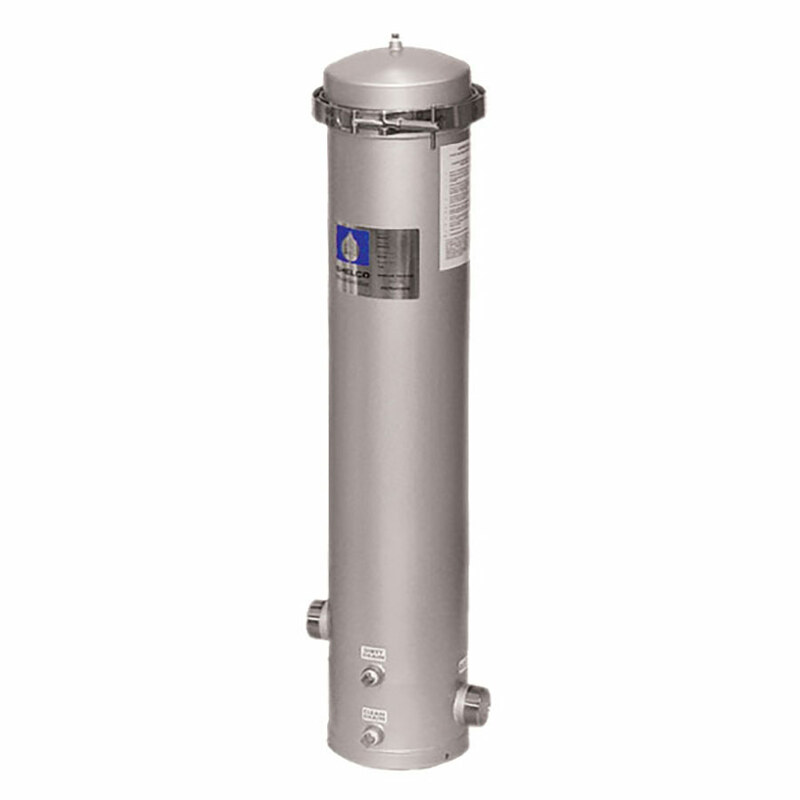 We manufacture a complete line of four and five round models to accommodate a wide range of flow rates. Options include 304L or 316L stainless steel; band clamp or swing bolt closure. Design pressure 150psi (10bar) @ 300°F (149°C). Standard inlet and outlet connections are 2" MNPT with many other options available. Standard finish is poly-coat over stainless and other options can be special ordered. Standard gasket is FDA grade Buna-N.
Cartridge Connections: 222 connections available (Standard on 7FOS Models).